Today is another great day for MbaFrog team. Today we're posting another interview of distance learning MBA student on our blog. We recently approached Mr. Manish Sinha for an interview and he confidently said yes for it without any second question. Mr. Sinha is pursuing his MBA from IGNOU & having more than 6 years of working experience in Technical Support & Strategic Business. Currenlty he is working with a renowned IT brand. Below are the questions that our team asked to Mr. Sinha during the interview. 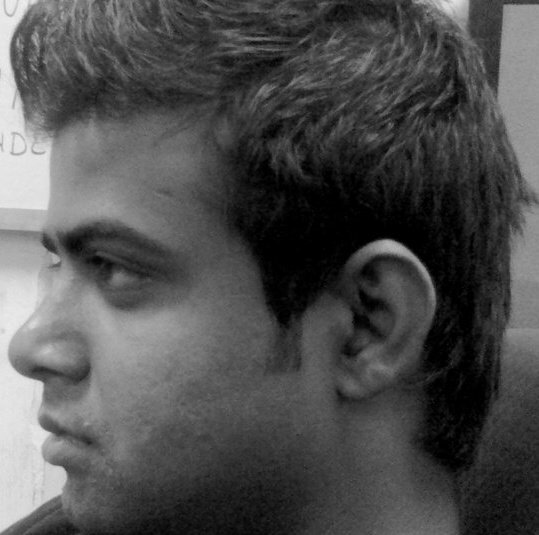 I am Post Graduate in Business Management from IGNOU, New Delhi and Microsoft Certified Professional. 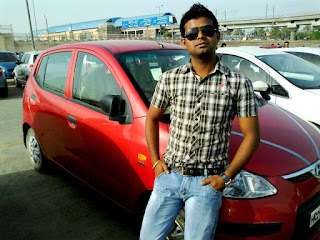 I am working with one of IT organization which is based in Noida. I am building strategic business partnership with alliances, Identifying new market, new alliance partnership & New ways to reach existing markets. 2. Why you joined IGNOU for your higher studies ? IGNOU has established one of finest image in the market that we do not provide any shortcut for degree, If you are serious then join me because if you are not taking me seriously then make sure that you are not going to complete your degree. You will hear from most of the people, IGNOU is not easy and this thing boost to most of the people who believe in hard work. 3. Being a full time employee, How do you think MBA from IGNOU helps working professionals to excel in their career. Yes, if you are full time employee in any organization then you don't have time to do anything. IGNOU is one of place where you will get everything at your home; you do not need to run behind the institution, if you want to attend the classes then you may join on weekends but it is not compulsory which give you full freedom to study as you want. 4. Why according to you IGNOU is still a top pick among distance learning MBA aspirants. IGNOU is among the few institutions in distance learning mode where you have to qualify (OPEN MAT) Entrance exam first then you can take admission. IGNOU is one of biggest university in the world for distance learning course and most important, People are very much aware about the value of degree and it is not at all very easy to take admission compared to other universities. Even IGNOU is one of cheapest university compared to all other universities like: SMU, MDU, IMT, LPU, AMITY etc. 5. 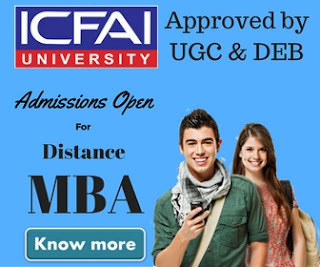 How easy is it for someone to get an admission into IGNOU distance MBA, do you need to crack any entrance exam for it. It is not very easy like other distance learning universities because you have to clear OPEN MAT ENTRANCE Exam which is conducted by IGNOU independently. OPEN MAT Entrance is not very tough competitive entrance exam, They have designed in a very fantastic manner where any average student can break it. 6. How often do you get a chance to interact with faculty members. Do you also get some online classes. You can interact with your faculty on weekends only and currently IGNOU is not providing any online classes. 7. Does IGNOU also provides some job assistance? No, because this course is specifically developed for working professionals only. 8. What do you want to suggest to our blog readers to take care about while choosing a distance learning MBA programme. Please make sure that when you are choosing any universities then that should be DEC and AICTE recognized for management courses. There are so many fake universities in the market, so please go to DEC website and see the listing of your universities whether it is listing or not. We all are aware about this, every year some of universities are getting blacklisted. If you choose any Govt Universities then you are always in safe boat. 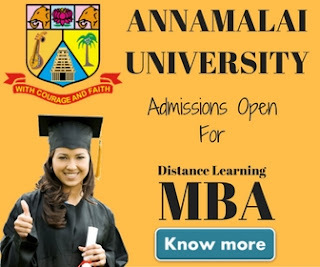 Other thing you can find that some of universities take 2 years, some 2 and half year and some of 1 year but please check what degree you are going to receive after completing your tenure, because some of universities says MBA but they will give you Post Graduation and this create a lot of difference in your higher studies. We're thankful to Mr. Manish Sinha that he gave his precious time to us. This interview would really help many others to choose the right distance MBA program. We wish him all the success in his professional & personal life. If you're a distance learning MBA student & wants to get featured on our blog, feel free to contact us by filling out our contact us form & our team will contact you for further process.